Viewing houses with the family can be an incredibly exciting experience. There is something magical about walking through a house and thinking that this is where your next 10–20 years’ worth of memories will be made. Once you have found the perfect house for you and your family, it is time for the next step: financing a home loan. Unless you are part of the top 1% of the population, you won’t be able to pay off the house in cash at the time of purchase. Who wouldn’t like having that kind of money lying around! The remainder of the population will have to use home loans to purchase property. In the world of mortgages, there are vast amounts of home loan types. However, not every bank will finance all of the different types of home loans. Do not expect to walk into a bank and have representatives walk you through the types of loans that are available for you. It is up to you to do your research on the loan that works best for you and your family! Whenever you think of a standard mortgage, you most likely think of a conventional home loan. Conventional loans, by definition, are loans are that are not insured or guaranteed by the government. This means that the bank is taking a big chance when they finance with you. If you default on a mortgage or stop making mortgage payments, the bank will not receive its money back. For these reasons, banks require 20% as a down payment on conventional loans. In the bank’s mind, a 20% down payment means that you are a serious buyer who will not skip out on the house; anything lower than a 20% down payment means that you will have to pay private mortgage insurance. This private mortgage insurance protects the bank in case you stop making payments; however, you are the one that has to pay it every month! Fixed and adjustable rates each come with their own pros and cons, so while a fixed rate may work best for one person, it may not work best for you. Out of the two types of home loans, a fixed rate mortgage is the easiest to understand. The interest rate on a fixed rate loan will not change throughout the loan period, meaning that, throughout the entire loan, the monthly payment will remain the same. This gives many people peace of mind because they know exactly what their financial commitment is for the next 30 years! Fixed rate loans are usually available in either 30-year or 15-year periods. Some banks do offer 10-year and 20-year loans, but these are not as popular. A shorter loan means a higher monthly payment, and not many people are able to meet the monthly payment on a 10-year home loan! On the other end of the spectrum, it is also rare to find a home mortgage for a period of time longer than 30 years. Home values deteriorate quickly, so banks are weary of extending a loan past a 30-year period. Of the various types of home loans, fixed rate loans are popular with people looking to settle down in an area over the long run. Since the interest rate stays the same throughout the life of the loan, this means that the amount paid on the principle also remains steady. There will not be a period of time in the loan where more is paid on the interest rather than the principle and vice versa. Fixed rate loans are also one of the types of home loans that offers peace of mind. This, above all, is one of the best reasons for choosing a fixed rate loan. If the housing market collapses, as it did in 2008, you have the security of knowing that your interest rate will not double overnight. Although it is unlikely that there will be another mortgage crisis in the next 10 years, it is impossible to predict what will happen to the housing market 20 or 30 years down the line. A fixed rate loan is only worthwhile if you are able to put a 20% down payment on the loan or if you are positive that you will be staying in the area for the long term. Again, if you do not put that 20% down payment on the loan, you will have to pay the private mortgage insurance, and that will raise the overall APR substantially. If you are unable to put 20% down, a Federal Housing Administration loan may be better suited for your needs. If you are positive that you want to remain in the area over the next 20 or 30 years, then, fantastic! A fixed rate loan is the loan for you! However, if you are thinking of flipping a house, changing school districts once your child is older or moving out of the area in general, a fixed rate mortgage may not be for you. An adjustable rate mortgage may be what you are looking for instead. When compared with the other types of home loans, an adjustable rate loan is substantially different. Unlike a fixed rate, an adjustable rate loan will change its interest rate at predetermined intervals throughout the loan. The first number – a 3, 5 or 7 – refers to the number of years that the loan stays in a fixed rate. Contrary to popular belief, adjustable rate loans are set at a fixed rate over a certain period of time. After the initial 3, 5 or 7-year period, the loan then acts as an adjustable rate loan. Every year, the interest rate on the loan may increase or decrease based on the housing market. If you or your spouse knows how to fix up houses, you most likely are interested in flipping a house – meaning you buy a house, spend a small amount of money in fixing it up, and then sell it for more than you put into it. In this situation, adjustable rate home loan types are ideal. In the initial 3, 5, or 7-year fixed rate period, the interest rate is generally at a lower rate than a straight 30-year fixed loan. Adjustable rate loans are great for individuals who know they will move out of the house before the initial fixed rate period is over because they get to take advantage of the low interest rate. When it comes to these types of house loans, you have to be prepared to potentially live with an unknown interest rate for the next 30 years. The future is unknown, and anything could happen. If something came up and you were unable to leave the house for a 3, 5, or 7-year period, you would then be stuck with an adjustable rate loan. The market is unpredictable, and there is a possibility that the interest rate could steadily creep higher and higher over the life of the loan. Government-insured loans, as opposed to conventional loans, are as their name suggests: insured by the government. These types of home loans are specialized to appeal to certain demographics or to people that cannot qualify for conventional loans. Federal Housing Administration loans are types of home loans that appeal to people who cannot put down a full 20% down payment. Let’s be realistic here: saving up 20% when you have student loans, car loans, rent payments, and, possibly, child care expenses is difficult! On a standard $200,000 house loan, that comes out to $40,000! Most federal housing administration loans require a low 3.5% down payment on the mortgage. This is much more doable for low and medium-income people! These types of home loans are also easier to get approved for. If you have a credit score under 700, you may have a hard time getting approved for a conventional loan. Federal housing administration loans require credit scores to be a minimum of 500! Anyone with a credit score in the 500–700 range should definitely look into a federal housing administration loan. The U.S. Department of Veterans Affairs offers a specific loan targeted towards eligible veterans. Not every veteran is eligible for this program, so make sure that you meet the criteria before applying. These types of home loans require no down payment at all! The Veterans Affairs department will reimburse the bank for any individuals that default or skip out on a home loan. This allows the VA to offer a loan with no down payment. Overall, this is a fantastic program if you are a retired veteran looking to purchase a house. The United States Department of Agriculture offers home loan types designed to be used by people living in rural areas. The United States Department of Agriculture lists on its website counties throughout the United States that qualify as rural areas. Not only do you have to meet the location requirement, but you also have to meet an income prerequisite. In order to qualify for a United States Department of Agriculture loan, you must have an income no higher than 115% of the adjusted area median income. This is different per county since certain counties have higher incomes than others; you can check the specific income requirements for your county on the website. These home loan types encompass all loans under $625,000. 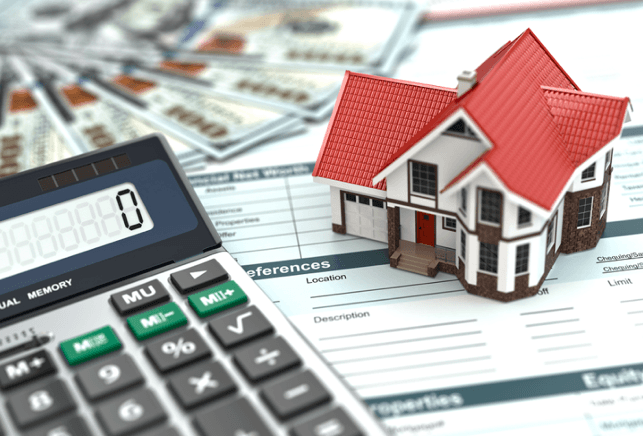 Generally speaking, $625,000 is the cut off value, but every bank may have its own stipulations on what it categorizes as a conforming loan. Fannie Mae and Freddie Mac are the two principle organizations that handle mortgage loans. Any amount leading up to the cut off value will be handled by either Fannie Mae or Freddie Mac. To break it down, a conforming loan can be any fixed rate, adjustable rate or government-insured loan as long as it falls under $625,000. Jumbo loans are not as common as conforming loans because they are handled outside of Freddie Mac and Fannie Mae. These types of home loans are considered high risk because if you skip out on your home loan, the bank loses a big chunk of cash! The banks will only offer this loan to people with exceptional credit, and you have to have a hefty amount saved up for a down payment. This is a loan that will definitely require 20% as a down payment before you can get approved. Due to the loan being classified as high risk and it being handled outside of the standard organizations, the interest rates on jumbo loans tend to be higher than conforming loans. That is not to say that you cannot find a bank to offer a competitive interest rate on a jumbo loan! You will have a better interest rate if your credit score is 800+ and you are able to put more than 20% down on the loan.